Are you ready to live your life from energetic awareness and create the magic you were born to be? Is it time to set you free and find out what else you are capable of? 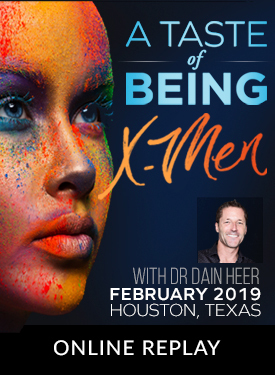 Join Dr. Dain Heer for a door opening evening exploring your true capacities and how to use them! What is A Taste of Being X-Men? You never get stuck by what is true in your awareness. Is now the time for you to step into being you? Is now the time to truly start LIVING? The sensitivity we have is one of the greatest gifts we have.